Suggested by Destroyer Cinder is a master with fire manipulation and that is going to be too much for Toothless to handle. His attacks already aren’t the strongest and when you consider the fact that his fire won’t do anything against Cinder it limits his options even further. 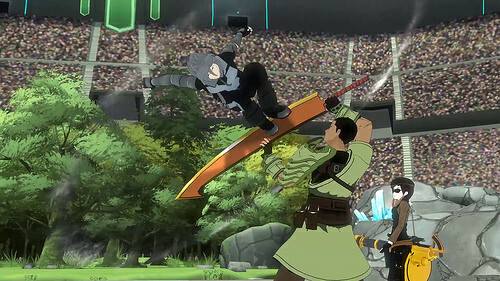 Even without her Maiden abilities Cinder is fast enough to dodge all of Toothless’ attacks and counter with her own. This fight won’t last very long. Cinder wins. Suggested by Destroyer The Snail is back for another round but I’m afraid that he won’t be able to take down Cinder. She can easily burn the Snail to a crisp with a casual flick of her wrist. 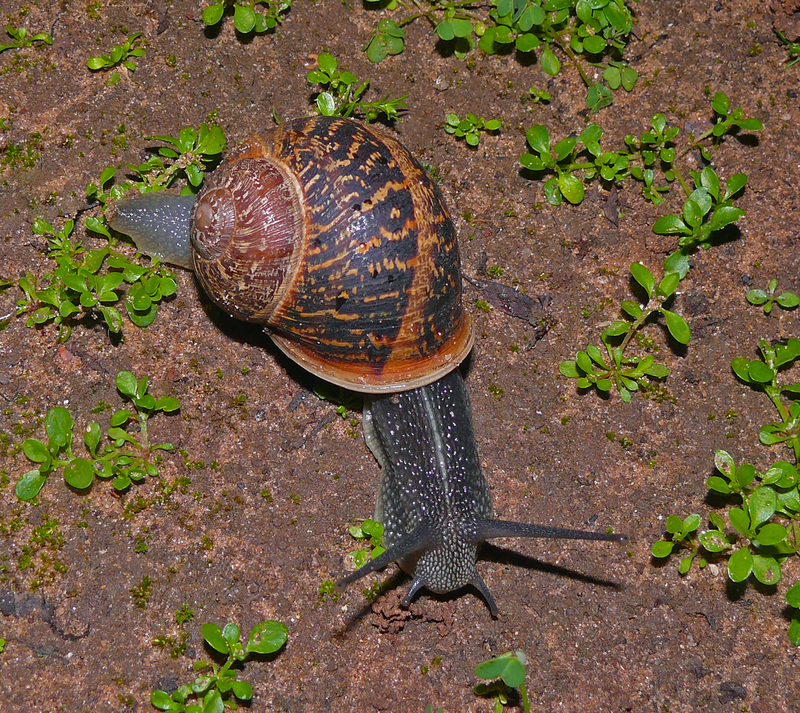 The Snail has no resistance to such an attack and will quickly be defeated. Even if it turned giant in one of the films that would not be nearly enough to tip the scales here. Cinder wins. 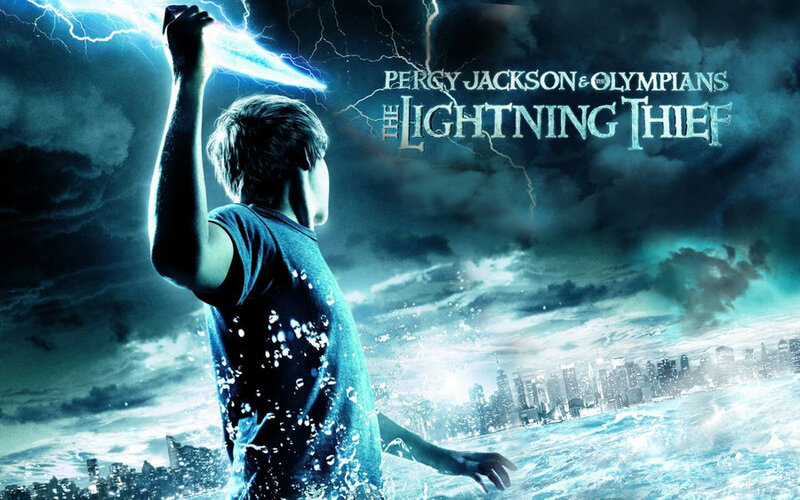 Suggested by Destroyer Percy Jackson may not seem like a very strong guy, but he actually became fairly powerful by the end of his book series. He was nearly indestructible in his final form. Too bad he doesn’t have the speed to match that as Cinder can easily fly rings around him. Her fire abilities would certainly still damage him as well. His healing factor will buy him some time, but not enough. Cinder wins. 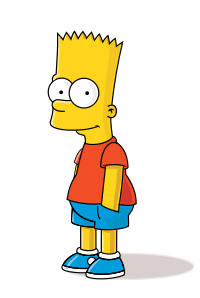 Suggested by Destroyer Bart Simpson is a kid who doesn’t really care for authority too much. That’s too bad for him because disobeying Cinder means an early death. Her fire abilities will be far too much for him and Bart doesn’t have enough speed to dodge any of her attacks. He was doomed as soon as the fight started and at the end of the day he wouldn’t have even been able to have put up a fight against Cinder before she became a maiden. Cinder wins. 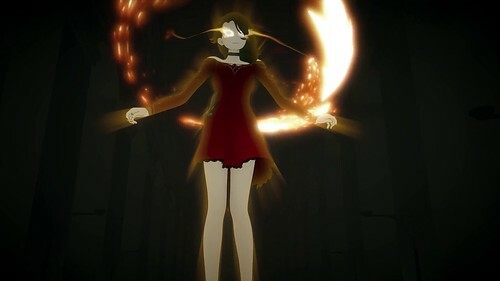 Suggested by Destroyer Cinder is one of the strongest characters in the series thanks to her Maiden abilities. She can easily burn Han Solo into a potato chip as soon as the match begins. None of his attacks can possibly get through her forcefield and he definitely isn’t quick enough to run away. That’s why it’s the end of the line for Han. He just can’t handle this level of power. Cinder wins. 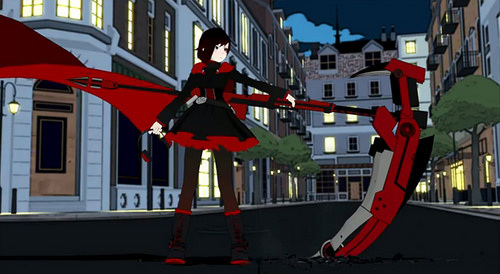 All right, it’s time to head back into the world of RWBY as I look at the top 10 characters in the series. There are a lot of quality characters and I’m sure that the list will continue to change and evolve as more volumes come out. 5 volumes is a good amount of content to make such a list though so here is how it is right now. I liked this character as soon as he showed up. His hairstyle and personality is very similar to Sasuke from Naruto. At this point we had already had quite a few villains, but none with the smug and confident nature of Mercury. 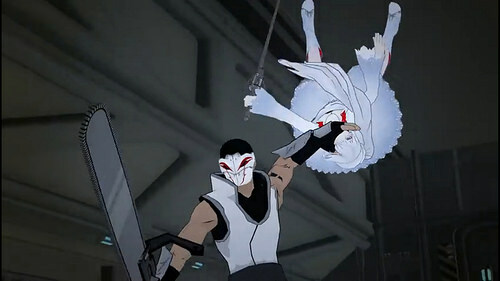 His fight with Yang also showed just how skilled he was and solidified him as a true threat to any hunter or huntress. Unfortunately he hasn’t gotten a whole lot to do as of late but he is a villain that just hits all of the right notes. At most he just doesn’t make for a very convincing hero but that is probably low on his list of priorities. This guy was pretty cool as soon as he showed up in the Black trailer. 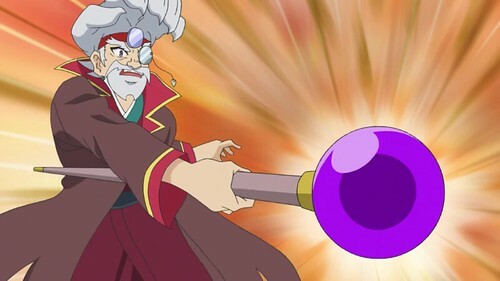 He was an experienced veteran whose abilities were even higher than those of the main characters. 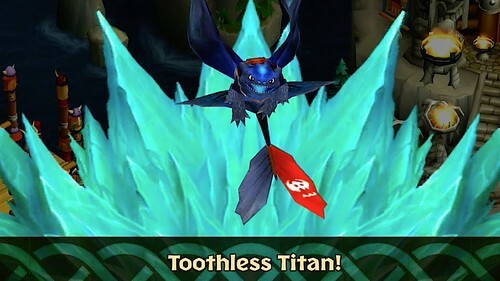 He’s also a villain who is fighting for a good cause. It doesn’t justify his actions but at least I can understand his motivation and why he feels like he had to succeed. Volume 5 didn’t really seem to understand this all that well as Blake became more of a priority for him. Still, at his core he is just a man trying to fight for equality by destroying everyone who stands in his way. 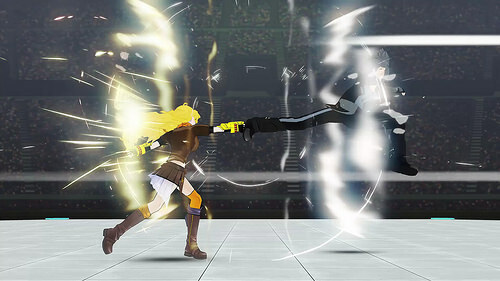 Taking down Yang in a single hit was an insane feat and he is a character who just seems untouchable. Next to the 4 Maidens he is very likely the strongest character in the series. He is definitely a divisive one in the series but I dare say that he might have the strongest drive. Whenever he shows up you know that it’s bad news for the heroes. 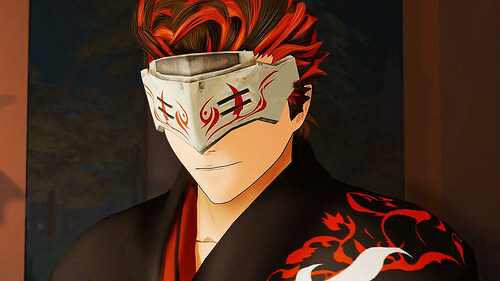 At 3rd we have the best hero, Yang. As early as the Yellow trailer is was clear that she was going to be the best of the main 4. She is very confident and always eager for a fight. Her hand to hand combat skills is a nice way to make her unique from the others. 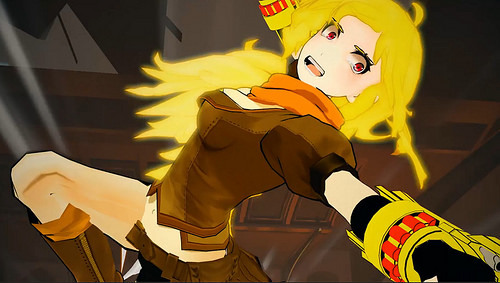 Yang did lose her fighting spirit for a while during volume 4 which threatened to hurt the character a bit but she recovered for volume 5 and quickly got back to acting like her usual self. 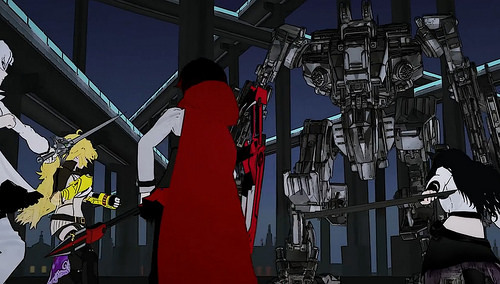 It is a shame that she lost her arm as the robotic one just isn’t as fun but I am eager to see Yang get a proper rematch with Mercury. She didn’t seem to be doing too well in the recent bout but it was hardly a fair 1 vs 1 fight. 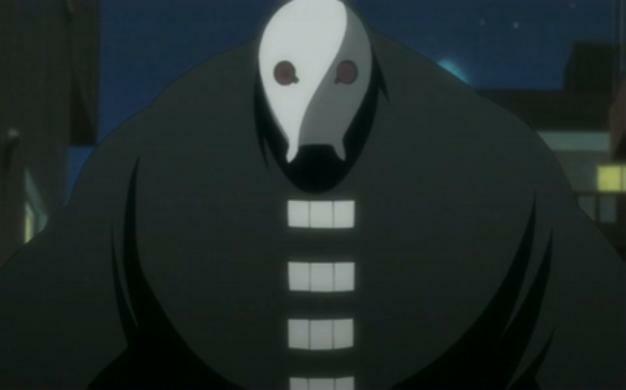 Out of all the characters in the series Raven likely has the best debut of them all. 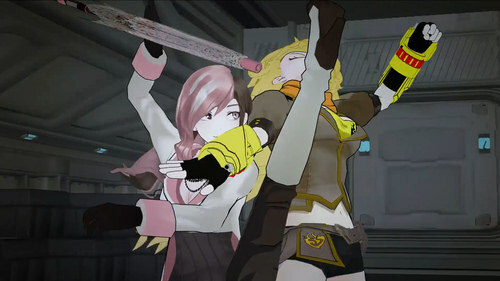 Saving Yang just in the nick of time from Neo was pretty hype. Still, it wasn’t until volume 5 that Raven really came into her own as a great character. We got to see her as a master strategist and as a wild card who was dangerous to both sides. Obtaining the Maiden’s power and then keeping it quiet was genius. 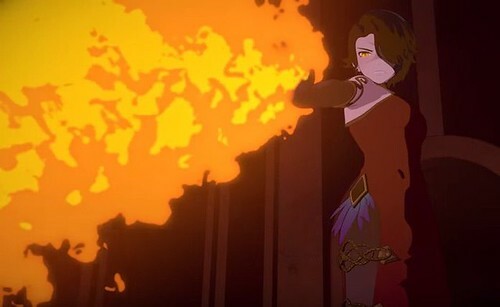 Honestly her plan would have been flawless if she has attacked Cinder right away in the vault as she would have gotten away with Vernal scot free. I am looking forward to what I feel is an inevitable confrontation with Salem although admittedly her odds don’t look great for winning such a fight. Raven has a lot of experience with her abilities though so if any maiden can beat her it would be Raven. 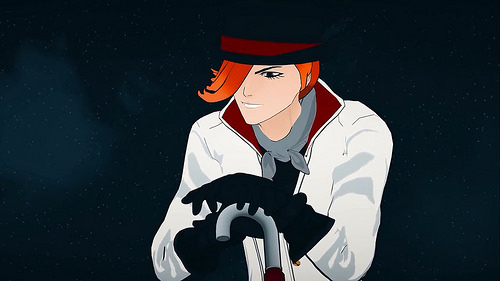 Torchwick isn’t one of the strongest villains at this point as he has long since been surpassed but his charisma is certainly one of a kind. He delivers a lot of clever dialogue whenever he is on screen and the fact that he can fight so well without aura is also really impressive. 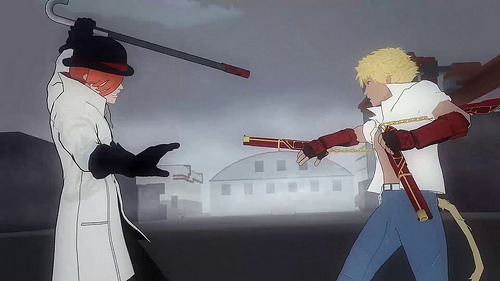 He was able to defeat Blake and Ruby while also proving to be an even match for Sun. It’s a shame that he didn’t stick around a little longer because maybe he could still hold his own with some of the heavy hitters. 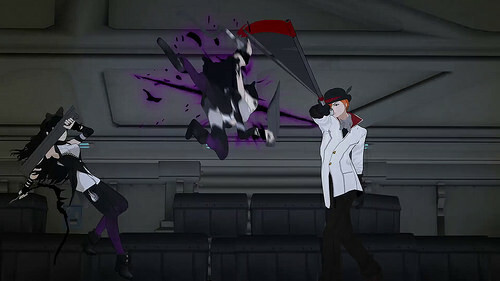 RWBY originally started out with a lot of humor to complement the action and Torchwick is a large part of why it worked so well. 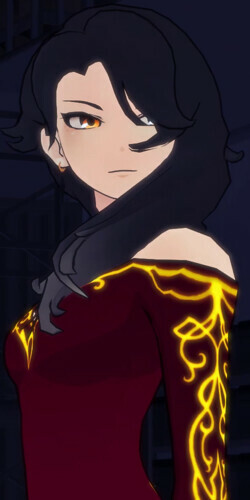 Cinder has really been the main villain of the RWBY series. Until volume 3 she seemed to be the leader of the villains. 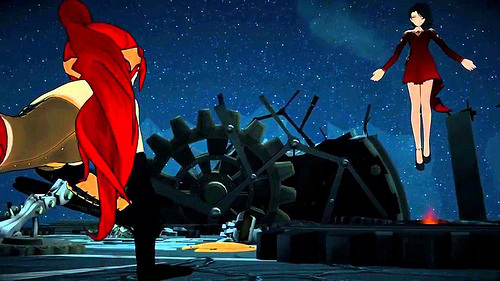 While we eventually found out that she had a leader, it didn’t change the fact that Cinder got the most screen time. 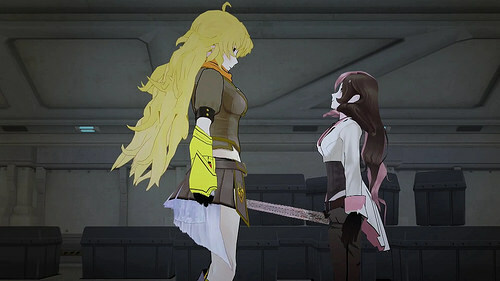 As with Yang she took volume 4 to recover and came back better than ever in volume 5. 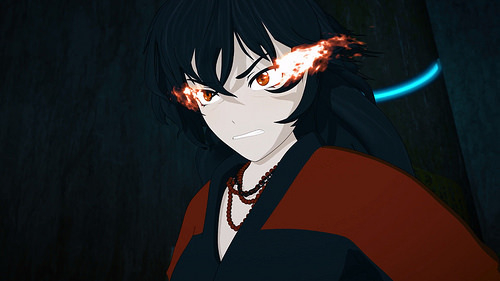 Her vendetta against Cinder has caused her to be a little more aggressive and unhinged as of late but having half of your face burned off will do that. Cinder is probably the smartest character in the series and even before her Maiden abilities she was a considerable threat. Her presence will be missed in the future but at the same time I do think that her character arc had a perfect ending. Naturally if they decide to bring her back which is fairly likely I would have no qualms with that. 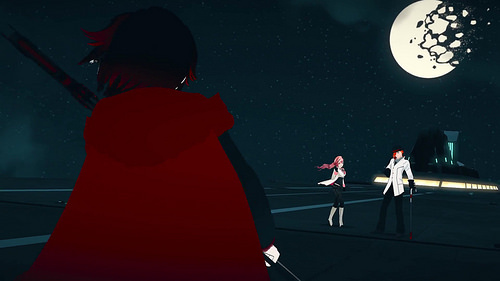 Neo is a relatively minor villain who instantly became a fan favorite during her fight with Yang. Her character is pretty unique as she can’t speak so her fighting style and facial expressions have to be used to decipher her character. She goes into action only on special occasions when she is trying to prevent the heroes from reaching an objective. 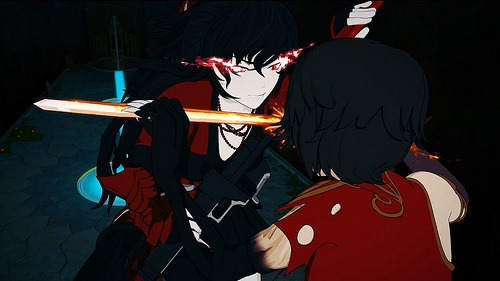 Given how she effortlessly defeated Yang it’s clear that her abilities are at a very high level. 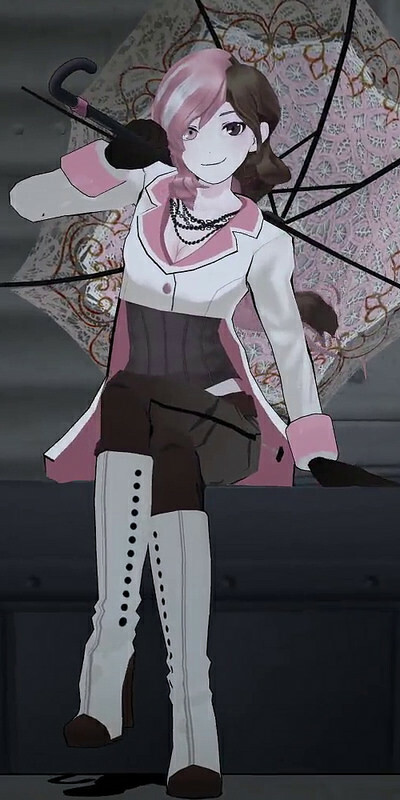 As she is still alive I am hoping that she finally gets a big fight in volume 6. 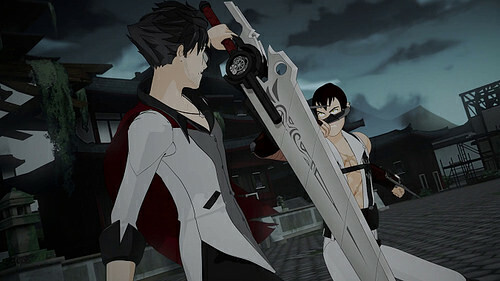 Qrow is definitely a fun character to have around who is a big contrast to the rest of the heroes. 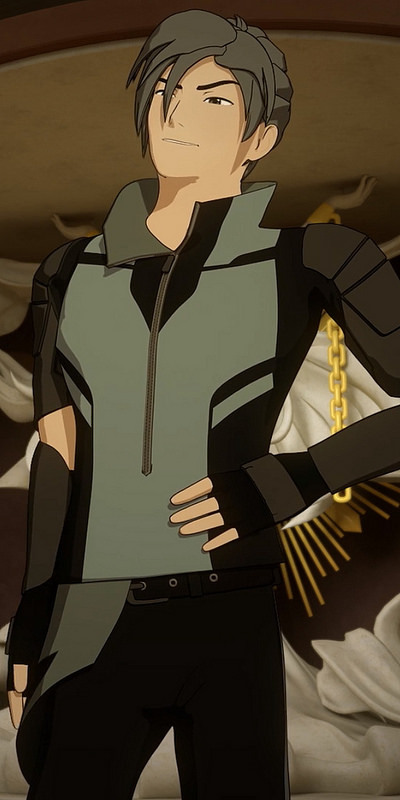 He is often very sarcastic to everyone and openly critical of any hero who isn’t Ozpin. 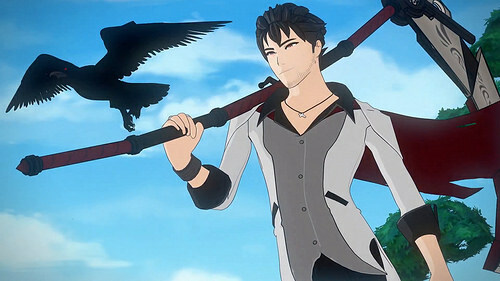 There was a time where he was my favorite RWBY character but the days of him being a great solo act appear to be over. He’s turned into a bit of a yes man for Oz and has also been severely nerfed in the process. Nevertheless I won’t forget his great volume 3 debut where he fought Winter. Seeing a competent huntsman is also nice since half the time you wonder how useful the grownups really are. 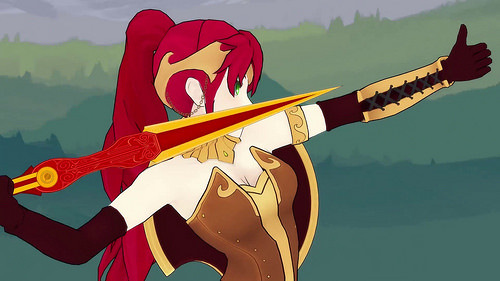 Pyrrha is a genius fighter and a true prodigy. Despite this, she surprisingly wasn’t cocky or super aggressive the way you would expect her to be. Instead she is one of the nicest characters in the series and has a great character arc. 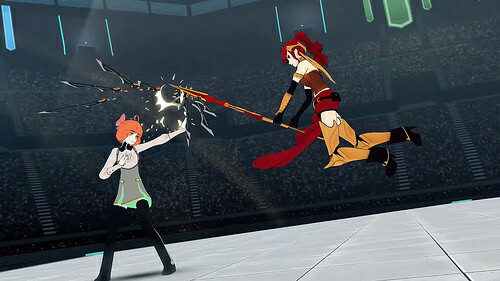 Pyrrha is definitely the most interesting character of team JNPR and made their plot a lot more interesting. While her odds of returning to the main cast get slimmer with every season, there is certainly always the chance that she will return. Her magnetic abilities served her well and I believe she would still be a threat to many of the current villains. Her abilities were ahead of their time. Finally we have Weiss. She started out as a very antagonistic character who was really critical of Ruby but gradually became one of her most loyal supporters. She’s had a lot of character development throughout the series and may be the most mature member of the group at this point. 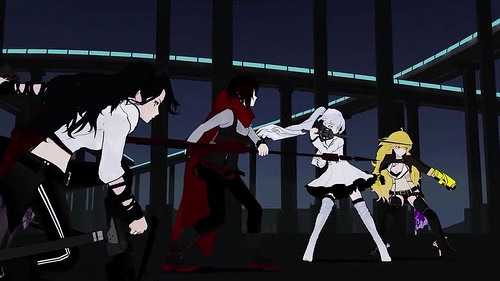 Even when she was out of practice Weiss was able to put up a bit of a fight against Vernal. Honestly I think she should have been able to win that fight but depending on what metrics you look at it may have been over 6 months since she had last fought a real opponent and Weiss had no time to train during that gap either. That really didn’t put her in top form for the fight. 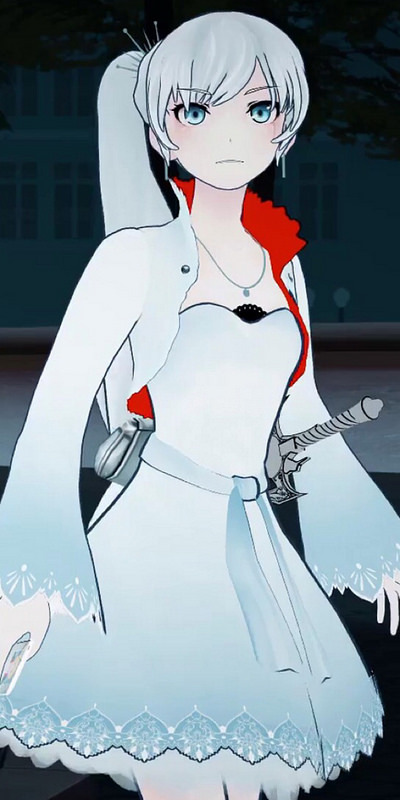 With her special rapier, Weiss always has the potential to become the strongest member of Team RWBY. So that’s my list of the Top 10 RWBY characters. There are quite a lot of villains on that list but the balance between light and dark isn’t too skewed. (6-4 is pretty equal) The series does a great job of developing both sides and many characters in this list aren’t separated by all that much which is why the placements in the list tend to swap a lot. For example the gap between 4 and 7 is very small and that’s a big chunk of the list. 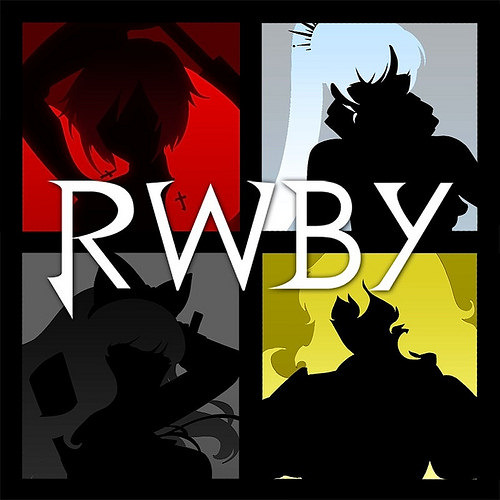 At least now when someone asks who my favorite RWBY hero and villain is I will be able to quickly respond or take a peak at this list. Ikarino may be old, but he’s still a talented Buddyfighter. He has some reasonably strong monsters at his disposal and he has experience on his side. 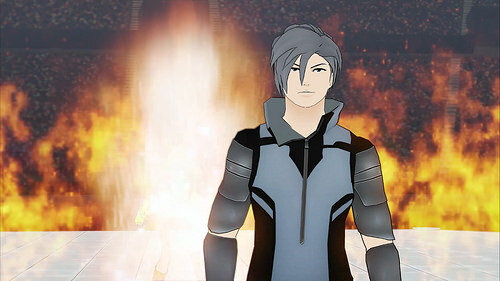 However, Cinder has a lot of experience on the battlefield as well and has always been a very cunning opponent to go up against. Her fire abilities will eliminate most of Ikarino’s monsters from the start and even his strongest ones are too slow to seriously go up against her. Cinder will be speedblitzing Ikarino for the duration of the match. Cinder wins.